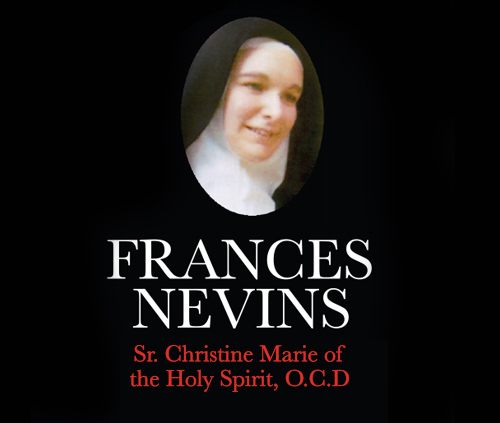 Joan Ward Mullaney has written this book with two purposes: First, to make known the extraordinary life of Frances Nevins who left family, fortune, husband and the scholarly life for one reason — the love of God. Second, to establish that Frances Nevins is original, not derivative. Reviewers agree that she does not speak “by hearsay”, to use Job’s phrase. She writes with both delicacy and power; most importantly, she has wonderful things to say about her experiences of God, people and places. Reviewers also agree that Frances Nevins/Sr. Christine’s journals, letters and retreat notes are rare materials, beautifully written. She is not guarded in describing her friendships, struggles with illness, loneliness or opposition in the monastery. • and, most particularly, her own love story that provides a radically different glimpse of a priest than the scandals in common currency. served as Professor and Dean, Catholic University of America. She was awarded Catholic University’s highest honor; the President’s Medal, by the Board of Trustees. She also was awarded the Benemerenti Medal by Saint and Pope John Paul II. The author, a close friend of Frances Nevins for 25 years, was entrusted with the Nevins papers. Dr. Mullaney is Petitioner for Cause, i.e. Sainthood. She lives in Dallas, Pennsylvania.